Free Shipping Included! Kowellsonic CE-4200 USB Mini Ultrasonic Contact Lens Cleaner Kit Daily Care Fast Cleaning New-White by Kowellsonic at Home Entertainment Centers Online. MPN: 4332716712. Hurry! Limited time offer. Offer valid only while supplies last. 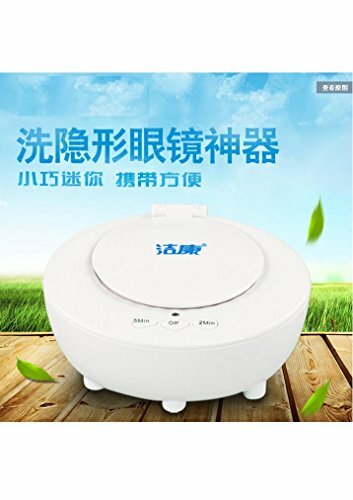 Description of Use: Ultrasonic contact lens cleaner for safer and more effective cleaning of contact lenses. Can be used at home or in your office. Description of Use: Ultrasonic contact lens cleaner for safer and more effective cleaning of contact lenses. Can be used at home or in your office. The small size and fast operation of the ultrasonic contact lens cleaner helps to maximize your time efficiency and improve your life. Corrective contact lenses, Cosmetic contact lenses, Therapeutic lenses Comes with a full set of lens cleaning tools. Eliminates the need to touch the lenses in the cleaning process to prevent dirt, oils or bacteria. Time-saving device. In just a couple of minutes your lenses will be completely cleaned and sterilized. No need to soak your lenses in solution the whole night like you would by the old cleaning methods. If you have any questions about this product by Kowellsonic, contact us by completing and submitting the form below. If you are looking for a specif part number, please include it with your message.